Archbishop Carlo Maria Viganò, former Vatican ambassador to the U.S., alleged that both Pope Francis and Pope Benedict knew that McCarrick -- who resigned as a cardinal in July after he was accused of abusing adults and minors -- was a "serial predator." The Archdiocese of Washington released a statement on Tuesday saying Viganò's claims were "categorically" untrue. "Cardinal [Donald] Wuerl has categorically denied that any of this information was communicated to him," the statement said. "Archbishop Viganò at no time provided Cardinal Wuerl any information about an alleged document from Pope Benedict XVI with directives of any sort from Rome regarding Archbishop McCarrick." In this Nov. 18, 2014 file photo, Archbishop Carlo Maria Viganò reads the Apostolic Mandate during the Installation Mass of Archbishop Blase Cupich at Holy Name Cathedral, in Chicago. Wuerl, the sixth archbishop of Washington, was appointed in May 2006 to take over for McCarrick, who stepped down due to age. But even after McCarrick's exit as archbishop he remained a cardinal through last month and continued living at a seminary on the grounds of the Archdiocese of Washington. In 2009, he spoke at a service following Sen. Ted Kennedy's death. 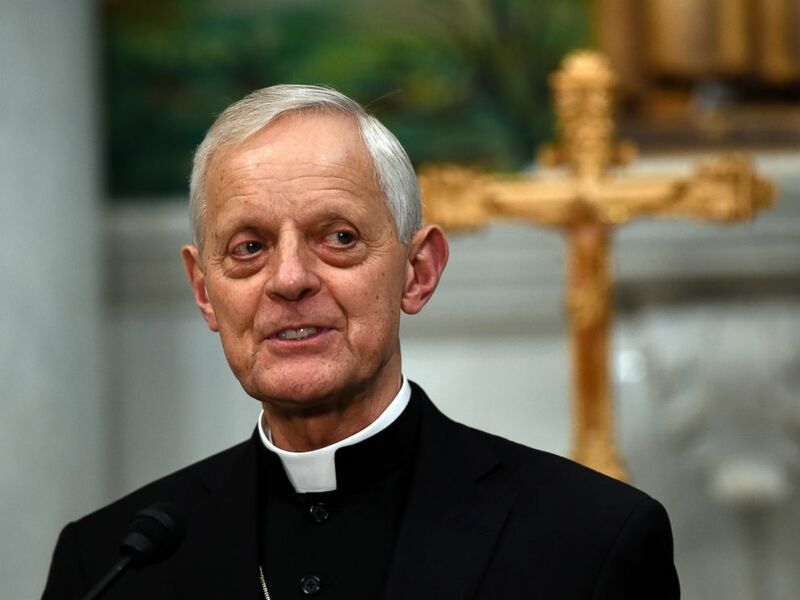 Wuerl said in Tuesday's statement he was not aware of any "restrictions" against McCarrick imposed by Pope Benedict, as Viganò wrote. 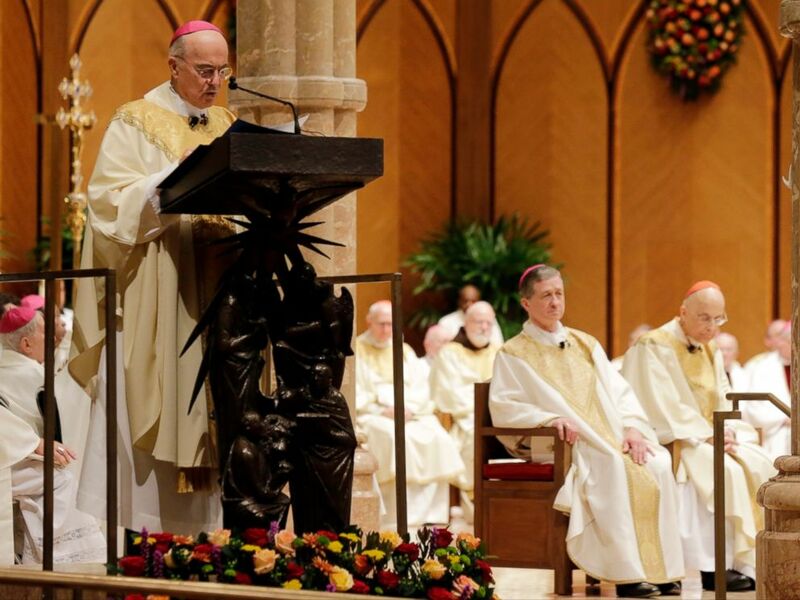 "Archbishop Viganò has not produced in his testimony any objectively verifiable proof that he in any way communicated to Cardinal Wuerl restrictions imposed on Cardinal McCarrick by Pope Benedict XVI," the Archdiocese of Washington said in its statement Monday. 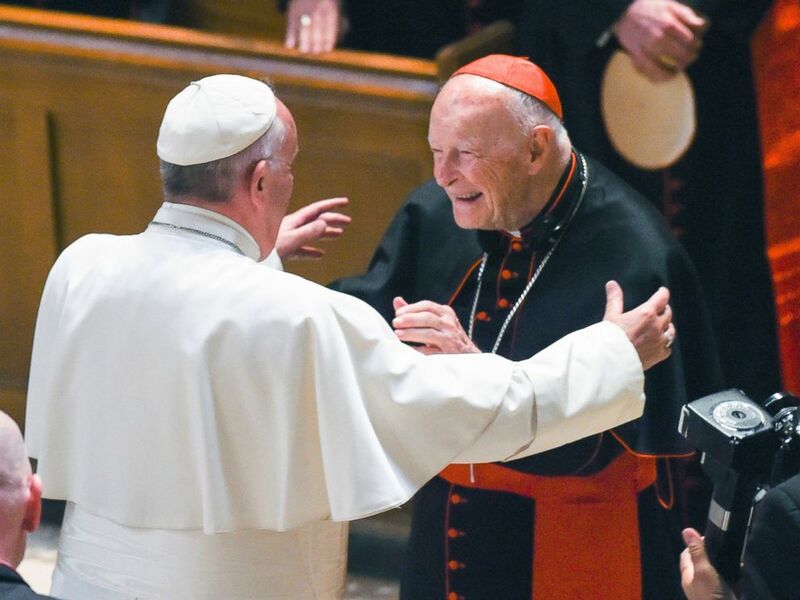 In this Sept. 23, 2015 file photo, Pope Francis reaches out to hug Cardinal Archbishop emeritus Theodore McCarrick after the Midday Prayer of the Divine with more than 300 U.S. Bishops at the Cathedral of St. Matthew the Apostle in Washington. McCarrick, 88, didn't resign from the College of Cardinals until an accusation that he molested a 16-year-old altar boy while serving at the Archdiocese of New York was found credible by the church and a July report from The New York Times alleges that McCarrick coerced seminarians into sexual relationships. Pope Francis would not comment on Viganò's letter when asked during his return from a visit to Ireland this weekend. Francis was critical of the letter's author, saying journalists should judge the comments based on their source. 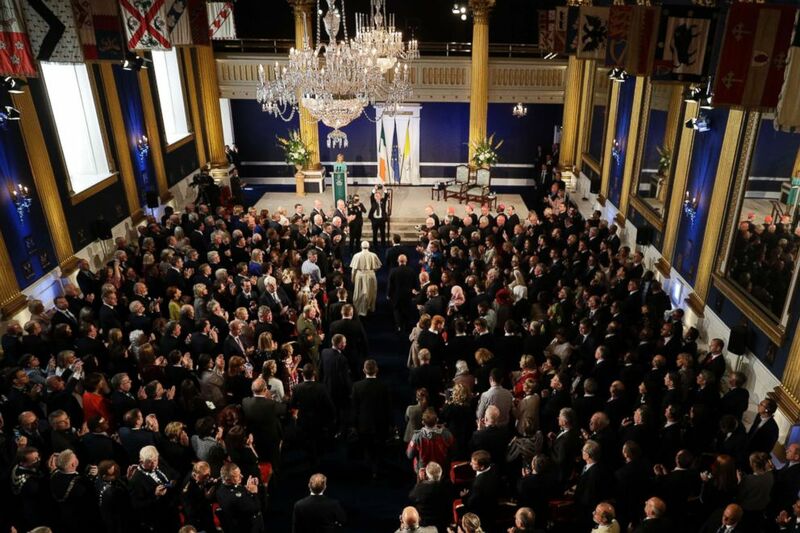 "I will not say a single word about this," Francis said, adding that it "speaks for itself." The conservative Viganò, who retired as a Vatican ambassador in 2016, is regularly critical of the pope’s more-liberal approaches on social issues. Viganò alleges in his letter that he told Pope Francis in 2013, "I don’t know if you know Cardinal McCarrick, but if you ask the Congregation for Bishops there is a dossier this thick about him. He corrupted generations of seminarians and priests and Pope Benedict ordered him to withdraw to a life of prayer and penance." “Archbishop McCarrick, like any other person, has a right to due process. He looks forward to invoking that right at the appropriate time,” Coburn said in a statement. Wuerl, 77, was named in a Pennsylvania grand jury report released earlier this month detailing decades of sexual abuse in the state. He was accused in the report of reassigning or reinstating priests accused of abuse while he was bishop in Pittsburgh from 1988 to 2006. Pope Francis, center, is flanked by Irish Prime Minister Leo Varadkar, right, as they arrive to meet authorities, in Dublin, Ireland, Aug. 25, 2018. Wuerl responded to the grand jury report in a statement: "While I understand this report may be critical of some of my actions, I believe the report confirms that I acted with diligence, with concern for the victims and to prevent future acts of abuse." A school named after Wuerl in Cranberry Township, Pennsylvania, announced last week it will drop his name after a sign outside was vandalized with red paint.